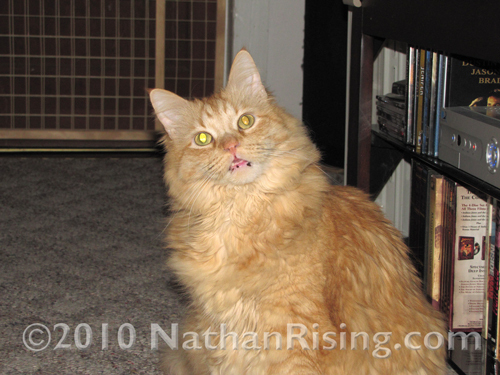 This entry was posted by Jen on April 26, 2010 at 9:15 pm, and is filed under Pets. Follow any responses to this post through RSS 2.0.You can skip to the end and leave a response. Pinging is currently not allowed. That cat definitely looks like he wants to say something! .-= Suzicate´s last blog ..Spy Rock =-. He’s got a lot on his mind, that’s for sure!